Cornus rugosa shrub in bloom. 2011 © Peter M. Dziuk. Minnesota Wildflowers. minnesotawildflowers.info (Accessed 1/2018). 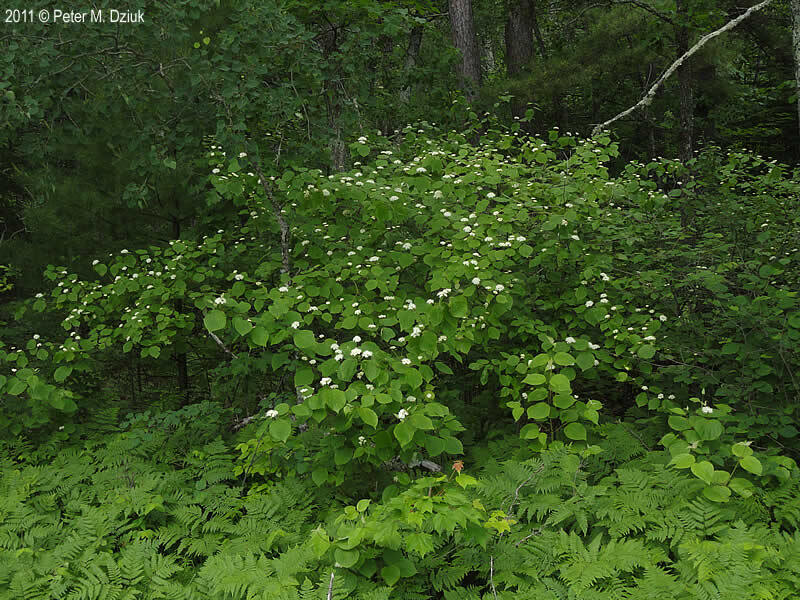 Cornus is a genus of shrubs or small trees (ours). Leaves mostly opposite (except C. alternifolia), simple; no stipules, margins smooth. 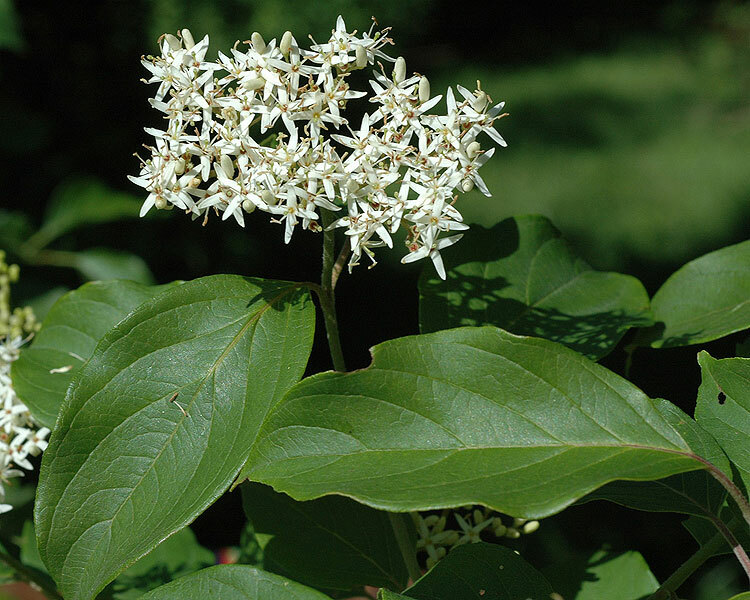 Cornus amomum flowers.David G. smith. 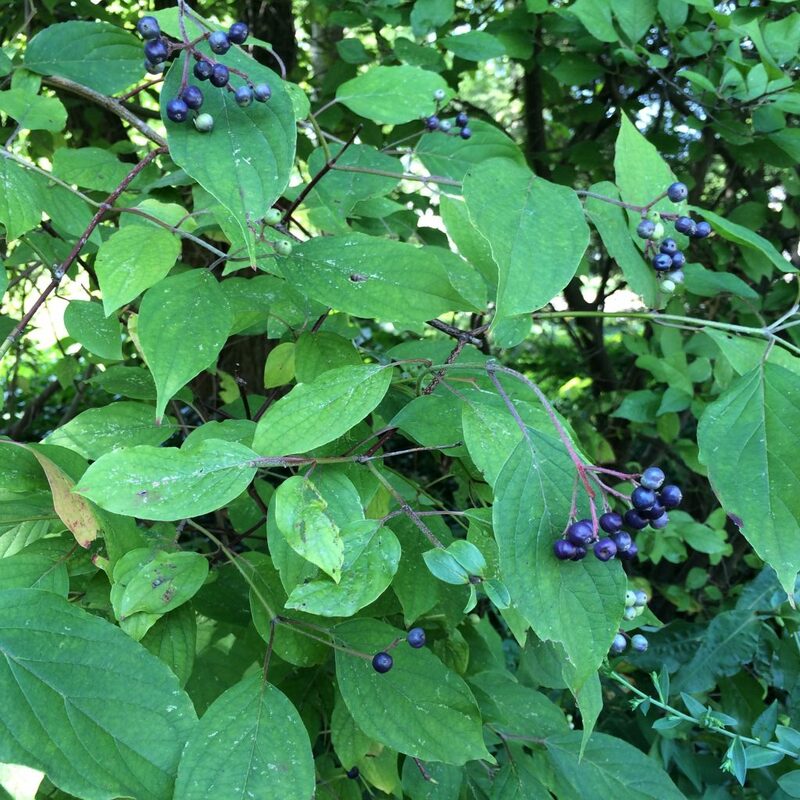 delawarewildflowers.org (Accessed 12/2014). Flowers small, 4-parted, sepals minute, petals small, stigma head-shaped (capitate); inflorescences in umbrella-shaped or head-like clusters, sometimes subtended by large, showy bracts (C. florida). Cornus amomum in fruit, MBGargiullo 8/2015, yard. Fruit fleshy, mostly 1-seeded (a drupe), except C. kousa, an asian horticultural plant.